The following is a list of Hawaii Television Stations and communication & multimedia schools in the state. Use this listing of televisions in Hawaii for information on local issues, politics, events, celebrations, people and business. The amount of information available in electronic format varies. 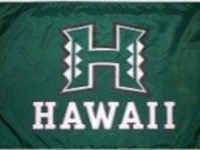 Here is a listing of Television Stations in Hawaii that can be found online. Broadcast Journalism is program that focuses on the methods and techniques for reporting, producing, and delivering news and news programs via radio, television, video/film media, and web; and that prepares individuals to be capable broadcast journalists, editors, producers, directors, and managers. Hawaii television and radio broadcasting schools give eager students an chance to learn what goes into making a quality productions for communicating over the airwaves. The most common degree options in Hawaii for aspiring broadcasters include the 2-year associate's and 4-year bachelor's degree programs. An undergraduate degree in broadcasting prepares students for various entry-level positions in the field. Hawaii broadcast journalism majors take many of the same courses journalism majors do, such as history of mass media, ethical issues of journalism, and legal aspects of mass communications. In addition to learning to write clearly and objectively, you'll learn to operate audio, camera, and editing equipment; edit, produce, and direct a broadcast program; and practice on-air delivery techniques. What can a broadcasting degree do for you: You get to help deliver news and information, moved entertainment, or enrich artistic and educational content to people. Your job may be in front of a television camera or through a radio microphone, or maybe behind the scenes. Broadcast journalism will also allow you to apply your skills to other areas including digital journalism, photojournalism, and newspaper and magazine reporting in Hawaii. Whatever you have in mind, a broadcasting school can provide the essential training to get you going. Browse these Hawaii communication & multimedia schools for degree options and course curriculum, prerequisites and financial aid information.